This took Tenjin all of 1 minute & 50 seconds to draw. 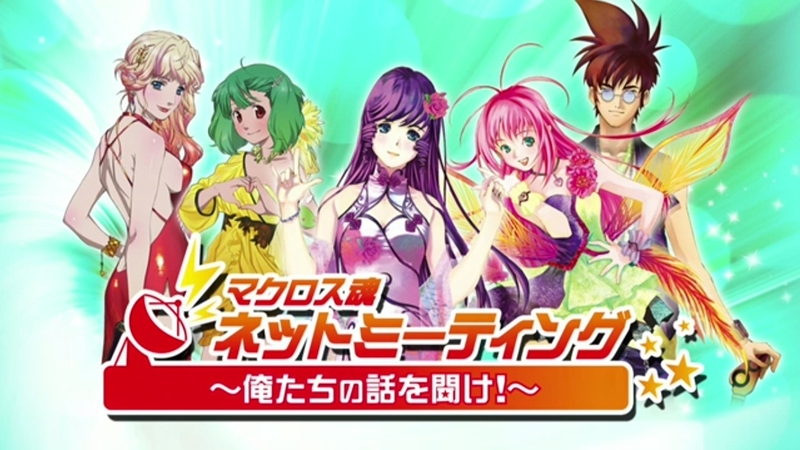 The special was held for no specific reason in particular (except to maybe to prompt fans to renew their fanclub memberships) – it was basically an excuse to chat some Macross and interact with fans via twitter and Niconico. As such, at least half the event was spent reading tweets from viewers, and the fanclub hashtag reached no. 3 in the trending topics on twitter while it was airing. My Macross bragging! – Everyone swapped Macross-related bragging rights. -Tenjin first met May’n before she made her Macross debut. -Shion turned up in a Mylene tshirt which had been autographed by Tomo Sakurai. -Kyanchi had a personalised sketch done by Risa Ebata. 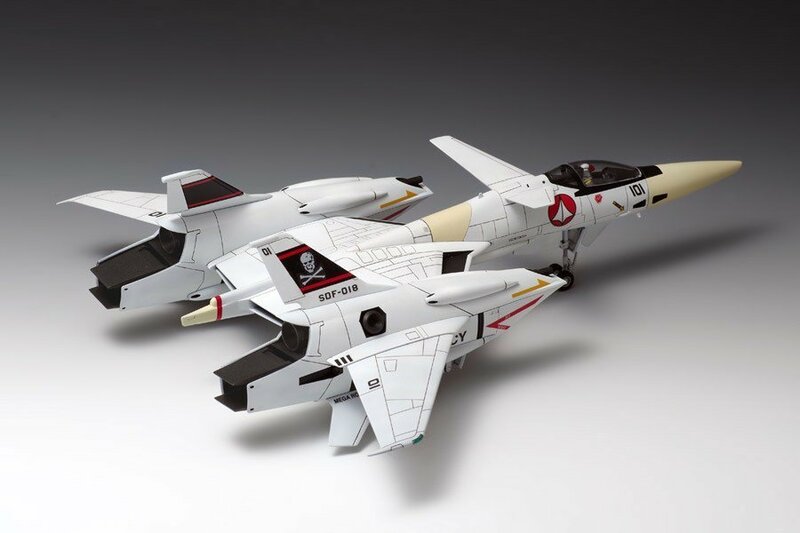 Mecha of Macross – Tenjin talked the Itano circus and explained how each and every missile had an individual trajectory and personality. He also mentioned the red lights that can be seen on the Macross in DYRL – these were based on the red lights placed on skyscrapers in Japan as a warning to low-flying aircraft.. and that Kawamori always wanted ‘more red!’ Well, I suppose they need to make sure that no Valks accidentally fly into it or anything, being over a kilometer long…. Shion talked about the origins of the Gerwalk. This was followed by some talk of characters and best couples before a drawing contest was held. 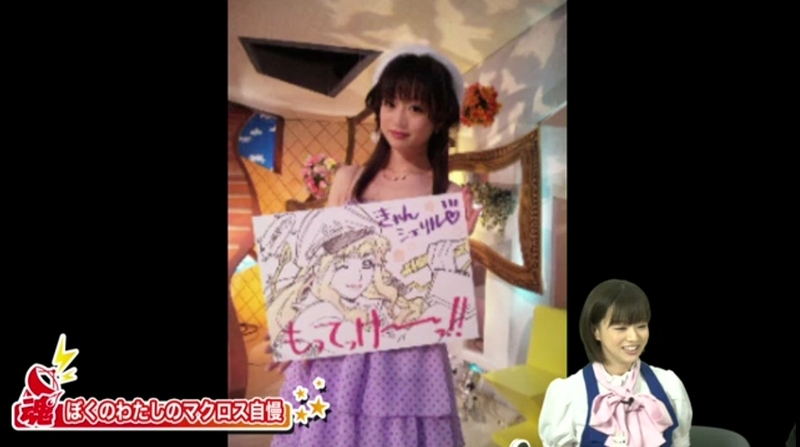 First, May’n and Shion faced off to see who could draw Sheryl the best. May’n’s Sheryl was actually pretty good…whereas Shion messed up and ended up drawing Gubaba instead. 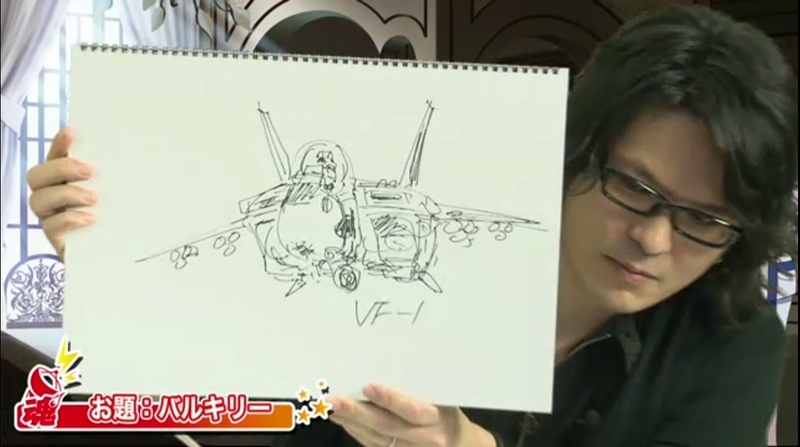 Then, Kyanchi and Tenjin went head to head to see who could draw the better Valk. I don’t think it’s really necessary to elaborate on who won that one…. Finally, everyone dried drawing Leon Mishima. 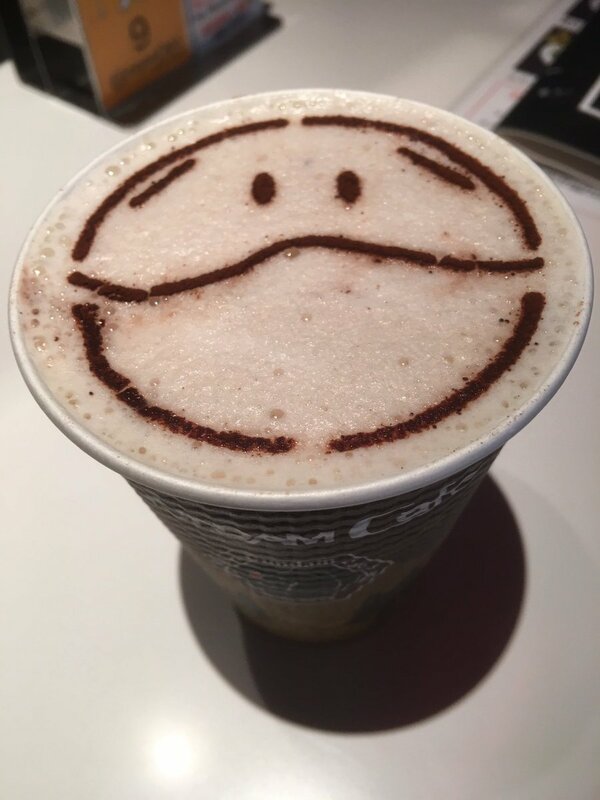 Tenjin’s was the clear winner again, with May’n;s looking like Mr Potato-head and Kyanchi’s looking like a poison mushroom. Everyone then discussed their favourite Macross songs, before trying to predict what the opening song at July’s Macross Crossover Live 30 will be. 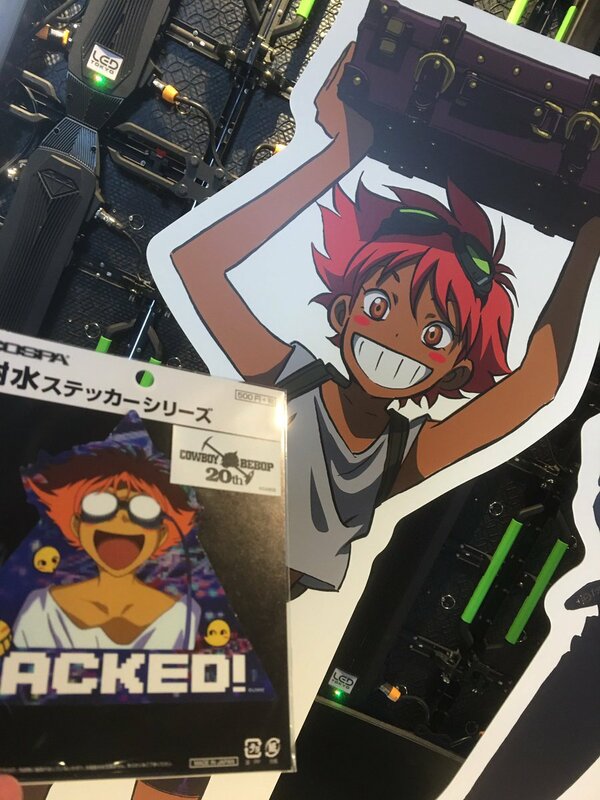 Of course, there was also some talk of the upcoming Macross Plus BD Boxset as well as the announcement of the upcoming theatrical screening, and Tenjin previewed the new art he had drawn for the fanclub birthday card this year – Leon from Macross 30 is now included along with all the other Macross pilots, illustrating how the game is considered to be a major installment in the franchise. 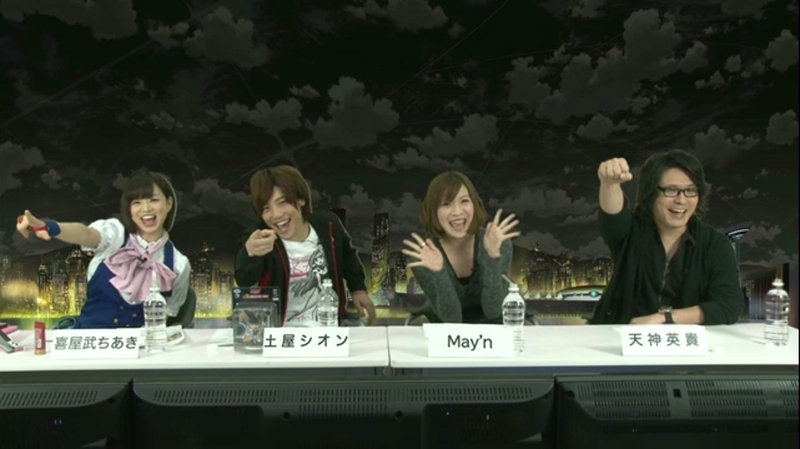 Overall there was a lot of horsing around and reading of fan twitter comments and questions, but the latest Macross Net Meeting did a great job of showing once again what a close relationship the franchise has with it’s fans and, while it didn’t announce anything new, was just plain old fun to watch and be a part of. Time to talk Macross Mecha with Hidetaka Tenjin. Discussing the Itano Circus is serious business. May’n does a pretty good Sheryl. If I can finish this then you’ll let me do the MUSICALTURE again, right? Please? Pleeeeaaaassseee!!!! Please buy my new single! Time to talk Macross Crossover Live 30!